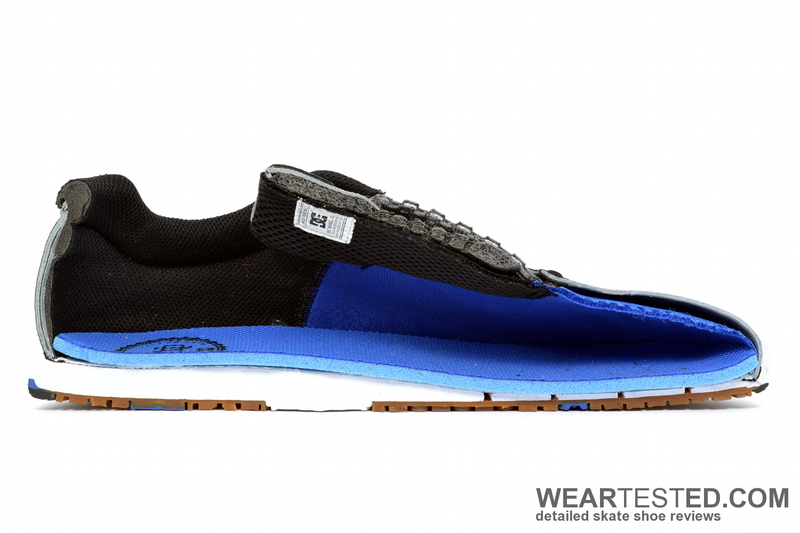 Finally there’s a revival of some bravery and innovation regarding skate shoe designs. The years when brands could get away with replaceable, plain flagship models seem definitely over (for now). And we highly appreciate it. Not just as a customer, but also as reviewers, since it makes our mission more interesting and there are lots of models to chose from. 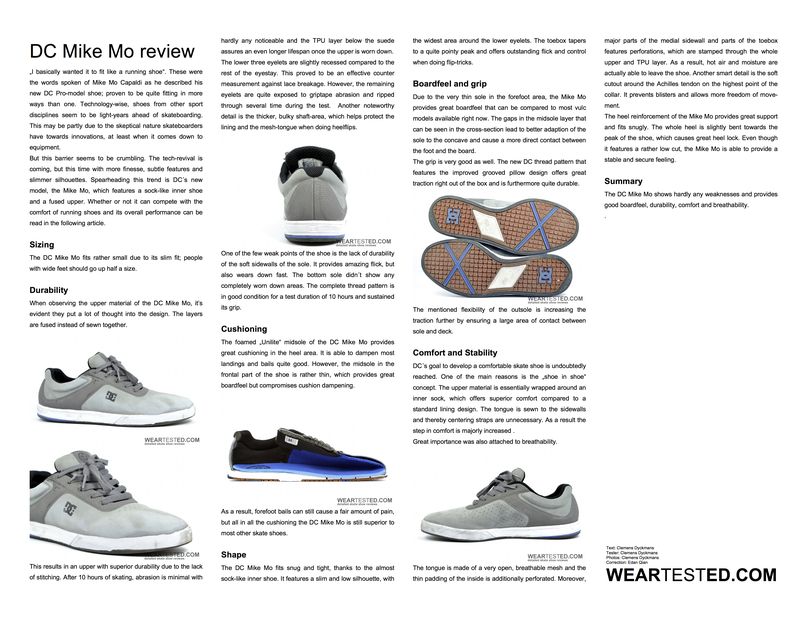 When it comes to innovative skate shoes, the DC Mike Mo was a no-brainer, enjoy the following review! „I basically wanted it to fit like a running shoe“. These were the words spoken of Mike Mo Capaldi as he described his new DC Pro-model shoe; proven to be quite fitting in more ways than one. 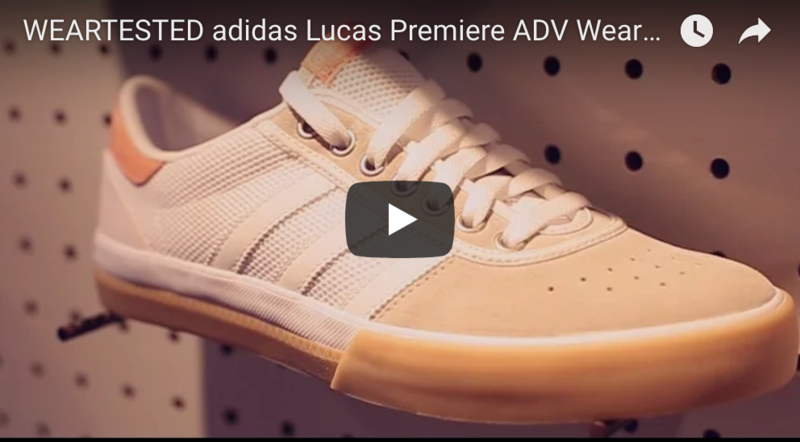 Technology-wise, shoes from other sport disciplines seem to be light-years ahead of skateboarding. This may be partly due to the skeptical nature skateboarders have towards innovations, at least when it comes down to equipment. But this barrier seems to be crumbling. The tech-revival is coming, but this time with more finesse, subtle features and slimmer silhouettes. 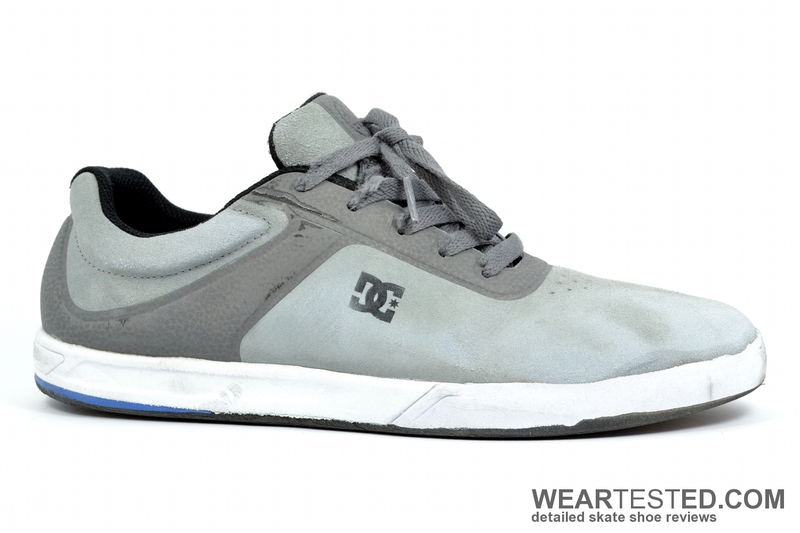 Spearheading this trend is DC´s new model, the Mike Mo, which features a sock-like inner shoe and a fused upper. Whether or not it can compete with the comfort of running shoes and its overall performance can be read in the following article. The DC Mike Mo fits rather small due to its slim fit; people with wide feet should go up half a size. When observing the upper material of the DC Mike Mo, it’s evident they put a lot of thought into the design. The layers are fused instead of sewn together. This results in an upper with superior durability due to the lack of stitching. 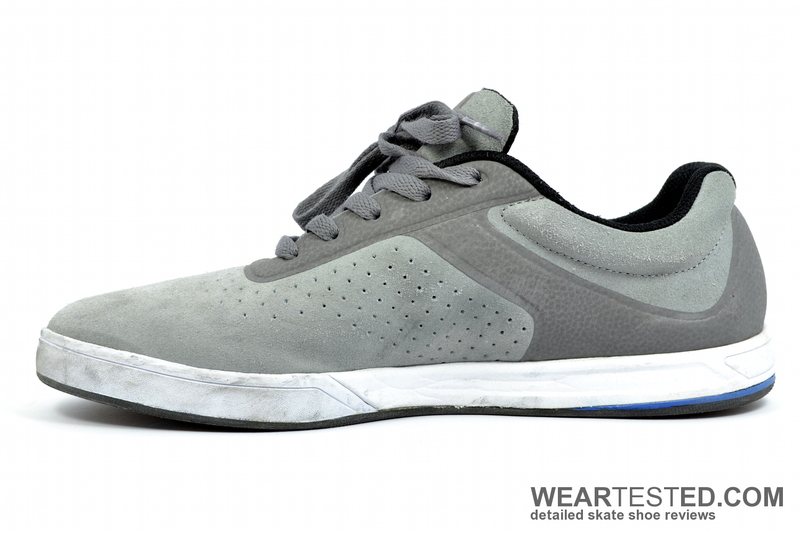 After 10 hours of skating, abrasion is minimal with hardly any noticeable and the TPU layer below the suede assures an even longer lifespan once the upper is worn down. The lower three eyelets are slightly recessed compared to the rest of the eyestay. This proved to be an effective counter measurement against lace breakage. However, the remaining eyelets are quite exposed to griptape abrasion and ripped through several time during the test. Another noteworthy detail is the thicker, bulky shaft-area, which helps protect the lining and the mesh-tongue when doing heelflips. One of the few weak points of the shoe is the lack of durability of the soft sidewalls of the sole. It provides amazing flick, but also wears down fast. The bottom sole didn´t show any completely worn down areas. The complete thread pattern is in good condition for a test duration of 10 hours and sustained its grip. The foamed „Unilite“ midsole of the DC Mike Mo provides great cushioning in the heel area. It is able to dampen most landings and bails quite good. However, the midsole in the frontal part of the shoe is rather thin, which provides great boardfeel but compromises cushion dampening. 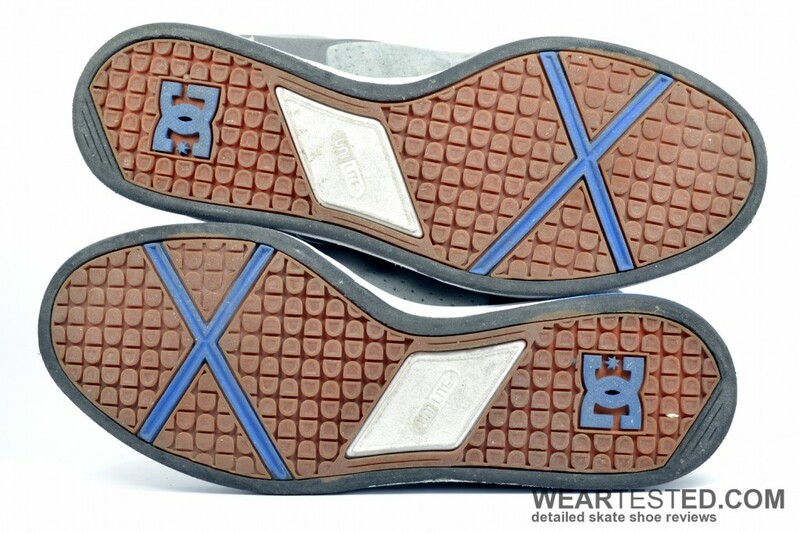 As a result, forefoot bails can still cause a fair amount of pain, but all in all the cushioning the DC Mike Mo is still superior to most other skate shoes. The DC Mike Mo fits snug and tight, thanks to the almost sock-like inner shoe. It features a slim and low silhouette, with the widest area around the lower eyelets. The toebox tapers to a quite pointy peak and offers outstanding flick and control when doing flip-tricks. Due to the very thin sole in the forefoot area, the Mike Mo provides great boardfeel that can be compared to most vulc models available right now. 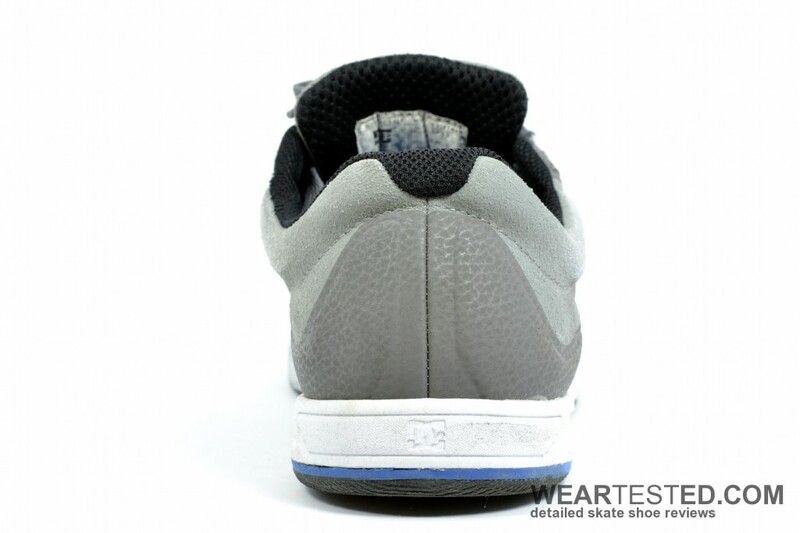 The gaps in the midsole layer that can be seen in the cross-section lead to better adaption of the sole to the concave and cause a more direct contact between the foot and the board. The grip is very good as well. The new DC thread pattern that features the improved grooved pillow design offers great traction right out of the box and is furthermore quite durable. The mentioned flexibility of the outsole is increasing the traction further by ensuring a large area of contact between sole and deck. DC´s goal to develop a comfortable skate shoe is undoubtedly reached. One of the main reasons is the „shoe in shoe“ concept. The upper material is essentially wrapped around an inner sock, which offers superior comfort compared to a standard lining design. The tongue is sewn to the sidewalls and thereby centering straps are unnecessary. As a result the step in comfort is majorly increased. Great importance was also attached to breathability. The tongue is made of a very open, breathable mesh and the thin padding of the inside is additionally perforated. Moreover, major parts of the medial sidewall and parts of the toebox features perforations, which are stamped through the whole upper and TPU layer. As a result, hot air and moisture are actually able to leave the shoe. Another smart detail is the soft cutout around the Achilles tendon on the highest point of the collar. It prevents blisters and allows more freedom of movement. The heel reinforcement of the Mike Mo provides great support and fits snugly. The whole heel is slightly bent towards the peak of the shoe, which causes great heel lock. Even though it features a rather low cut, the Mike Mo is able to provide a stable and secure feeling. 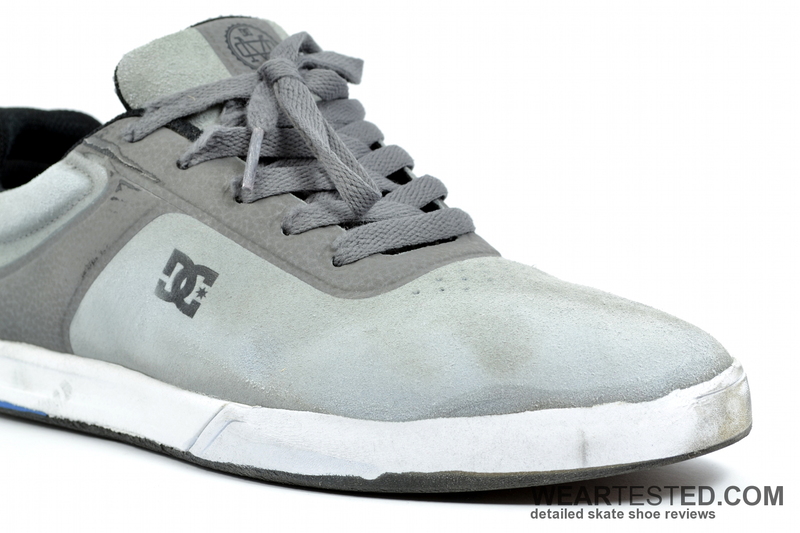 The DC Mike Mo shows hardly any weaknesses and provides good boardfeel, durability, comfort and breathability.